Evaluations of complex interventions are of utmost importance to identify and deliver clinically and cost-effective palliative and end-of-life care for future populations. They are however challenging and resource intensive. The Medical Research Council (MRC) framework together with the Methods Of Researching End of Life Care (MORECare) collaboration provides clear standards on best research practice in evaluating services and treatments. These guidelines emphasize the need to consider implementation at all phases of evaluation, rather than only at the end. 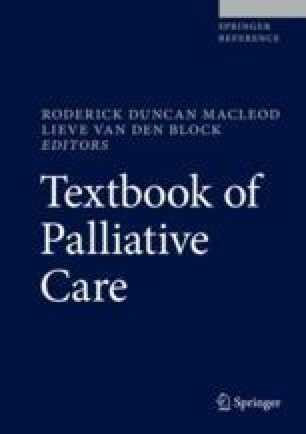 Furthermore, they highlight the need for flexible and pragmatic approaches to develop, examine, and evaluate complex interventions in palliative and end-of-life care. In this chapter we outline what a complex intervention is, discuss the challenges of developing and evaluating complex interventions in palliative and end-of-life care, and provide examples of complex interventions which have reached the evaluation phase.